Deirdre Clune could be in trouble in Cork. ALTHOUGH IT’S BEEN a largely positive day for Fine Gael one of their TD’s in Cork South Central could be in trouble. Deirdre O’Shaugnessy from the Cork Independent says that Deirdre Clune is facing a battle to win the final seat in the constituency. Fianna Fáil’s Micheál Martin, Fine Gael’s Simon Coveney, Labour’s Ciaran Lynch, and FG Senator Jerry Buttimer are all set to be elected to the five seat constituency. The final remaining seat will be battled out between Clune, Fianna Fáil’s Michael McGrath and Sinn Féin’s Chris O’Leary for the last seat. Email “Fine Gael's Deirdre Clune facing battle for final seat in Cork South Central”. 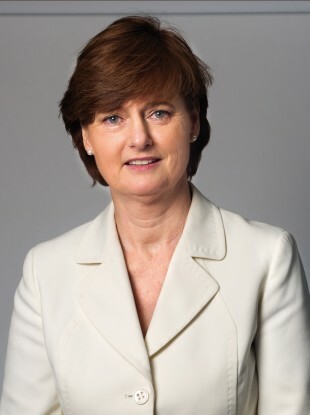 Feedback on “Fine Gael's Deirdre Clune facing battle for final seat in Cork South Central”.